Last week I was in Beijing to speak at a two-day workshop on Air Quality Improvement in the Beijing-Tianjin and Hebei (BTH) region. The workshop was supported by the Asian Development Bank (ADB). After I returned, I called my Professor Friend and we decided to meet at our usual coffee place. I was excited to share my experience. I narrated to Professor about the major air pollution reduction achieved in the BTH under PRCs Blue Sky War program. 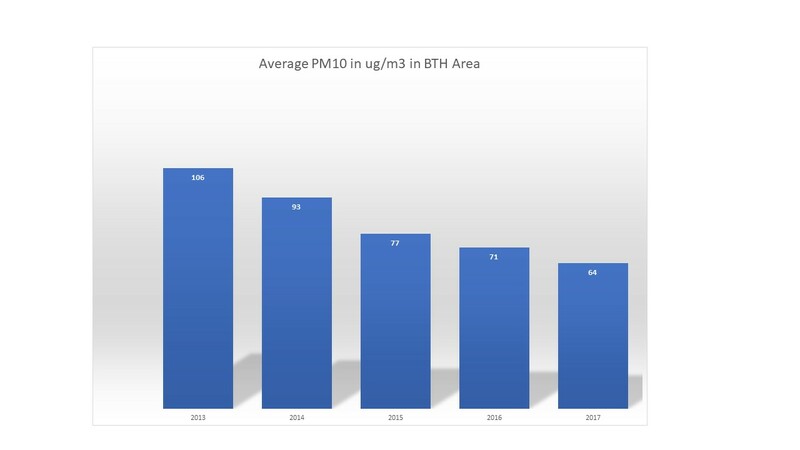 Since its launch in March 2017, the PM10 and PM2.5 concentrations in the region have been remarkably reduced. In addition to the reduction in average PM10 and PM2.5 concentrations, there has been a significant decrease in the number of heavily polluted days, especially in the winter period. “But Professor, we have lots of air quality related action plans e.g. in Maharashtra – but only to talk about. And we have been collecting huge air quality data but that is hardly analyzed and is lying currently in the coffins. On the other hand, the levels of air pollution have been rising all the time like the prices of the petrol and diesel” I protested. I learnt in the Chinese workshop that there are 3 As of Air Quality Improvement – Ambition, Awareness and Action. I thought that all we have achieved is some improvement in awareness, but we are in poor shape when it comes to ambition and action. “But we have the Supreme Court of India that promptly takes action” Professor said this while tapping his cigar on the ash tray. I looked at this face. He looked serious, but I could not figure out whether he was serious or sarcastic. “Don’t compare situation in India and that in PRC. Much of the emission reduction in BTH region has been achieved by shutting down and relocating highly polluting and economically weak industries, closing obsolete industrial boilers and moving from coal-based heating & cooking to natural gas. In September and October 2017, over 130,000 polluting industries in the BTH were closed. This kind of bulldozing approach is possible only in the regime like in PRC. Just the political will would not work, and a supreme power of enforcement is necessary to bring in the desired change. In India, do you think such a kind of enforcement is possible? Take the case of the challenge of relocation of polluting industries in Delhi. In 1996, the Delhi State Industrial and Infrastructure Development Corporation (DSIIDC) had, under the relocation scheme for industrial establishments, allotted plots to factory owners running their units from residential areas. And as far back as 2003, the Supreme Court, in its judgment in MC Mehta v Union of India, had directed that all industrial units that had come up in non-conforming areas on or after August 1, 1990 should be closed within a given timeframe. But, even in 2018, as the DSIIDC listing proves, these industrial units continue operations from residential areas.” I thought Professor made an interesting point. Professor smiled. “ Dr Modak, We are fully aware of the need to take a regional perspective. In the NCR for example, we know that emissions are also contributed due to burning of stubble in the agricultural fields of the neighboring States of Punjab, Haryana, Uttar Pradesh and Rajasthan. Our Supreme Court has already given directions and the State Governments are monitoring and enforcing a ban on stubble burning and providing finance to the farmers to do in-situ management of agricultural residue.”. I had my doubts on the effectiveness of such a so called “coordinated carrot and stick approach” –but I decided not to question the Professor. I thought of “elevating” our discussions to global issues like climate change. One of the important features of the air quality action plan for BTH region is the inclusion of actions on GHG mitigation. The idea of these integrated action plans was to simultaneously address the objectives of air pollution reduction while achieving climate protection goals. The action plans in the BTH are in the form of packages of policies and policy driven actions. A policy package consists of several policies and strategies, carefully selected such that they synergize and avoid conflicts between pollution reduction and GHGs. A cost benefit analyses of various policy packages is then done through simulation to identify least cost solutions while aligning with the long term goals. Special plans are developed to deal with episodic conditions in the winter period. The bottom line is that all action plans or policy packages should make an economic sense. In contrast, we follow a checklist approach. Many times we look at actions without supporting policies, institutional framework and financing. We look at actions in isolation and not in packages. PRC is using air quality improvement as a driver or proxy to “ecological modernization” of its industries. Grants to the region are given based on air pollution reduction achieved and not on the severity of pollution. So, performance on the ground matters. As regards coal, technologies that reduce coal consumption are innovated, piloted and promoted through “green financing” for higher penetration. 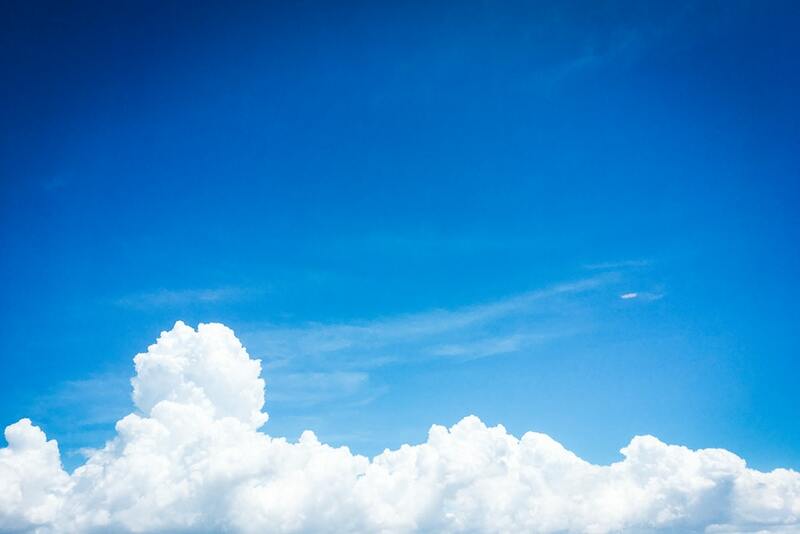 Green financing platforms such as BTH Air Quality Improvement Fund are created to lend industries for needed investments. Projects are assessed based on quantification of economic, environmental and social benefits. ADB provided a loan of 458 million Euro and this line of credit was used to leverage 3.6 billion Euros domestically through commercial financing. This led to mitigation of 8.5 million tons of CO2 apart from benefit of air quality improvement. To accelerate the investments, market mechanisms such as Green Power Trading System were set up apart from emission reduction related regulatory directives. Most interesting is the establishment of a leap frogging fund (with assistance of ADB), to promote “high end technologies” and innovations. Focus has been the high air polluting industrial sectors like steel, cement, chemicals by doing pilots, followed by commercialization. The idea is to achieve “deep industry transformation” and apply the directives under the law on circular economy to improve the energy mix through clean fuels and promotion of renewable energy. This transformation gives a competitive advantage to the industries while curbing air emissions. In Delhi NCR for instance, we could build further on the work done on “zig-zag technology for brick making, and topping with technical assistance and financing. During the workshop, a detailed presentation was made on the application of Tapio Decoupling Model. The results indicated that there were economic benefits in terms of rise in the GDP over long run after an initial phase of 3 to 4 years of economic disadvantage. This result was comforting to justify investments to curb air emissions. I could clearly see a much wider perception of air quality improvement infrastructure and investments in PRC. In India, we lack such an approach where innovation, modernization and financing are linked to conventional regulatory control. Our approach is limited or narrow, reactive, rather negative and not opportunistic. No wonder that the Chinese proverb says that every crisis is an opportunity! In India all we are doing is recommend people to stay indoors, install indoor air purifiers and wear masks when outside. We install dust sucking systems at the traffic junctions to make a noise and show proof of “action”! I told Professor that fire crackers are banned in China and now even during the festive seasons. Idea is to curb emissions of PM2.5 and stop release of toxic and hazardous chemicals. Fighting for the Blue Sky is the national priority. “Oh, then what happens to the economic loss of the fire cracker manufacturers in China?” Professor exclaimed. “I guess the Chinese fire crackers will now get increasingly exported to India” I said this sheepishly while settling the bill. In response, Professor did not speak and instead pointed his finger to the grey sky above. Do view the video clip below on Beijing’s air quality. Your blog is a very realistic representation of the ground realities on air quality in China as compared to those in India. I think ,India’ s problem is too much democracy ( right to do wrong). Better air quality or each one doing “his man maani” ie democracy. It is difficult for both to co exist ,inspite of Supreme Court verdicts. In India,we are now almost ok on awareness for environmental issues ( thanks to Modi)but need to do a lot more on action( implementation) & police -ing. We need someone one with a ” danda” to progress the environmental agenda. May be a second term for Modi -the person ( man with a danda and the only hope for pushing environmental concerns). I fully agree with Dr. Modak. For example, we hardly have any effective mechanism for green financing for the industries which wants to switch to clean fuels or cleaner technologies. On the one hand green funds collected by the central and state governments on the directions of courts (like cess on diesel, CAMPA funds, funds with PCBs) are lying idle,on the other, indutries and other sectors do not have funds at reasonable cost for adopting green technologies. Why we can not use these funs for greening of the industries and other sectors. Such financial Incentives will go a long way in achieving blue skys in India. The best outcome of this visit Modak Sir, which is reflected in your blog is that only guidelines & policies won’t work, we need inter-minesterial & inter-departmental framework of policies, guidelines, action plans & budget allocations to support the blue sky / clean air mission. It has to be a mission & not just campaign. Thanks for the insightful discussion and blog. We definitely need concerted and committed action.